Information about scientific activities: the number of articles of international, national and regional status – 52, educational-methodical complexes – 5, methodical recommendations – 4, educational-methodical materials of course cases – 3, electronic textbooks – 1, computer programs – 2. 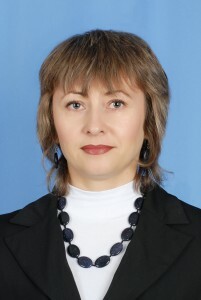 In 2014 she received a grant “best teacher” of the University. MES.